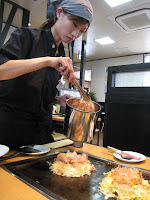 Japanese food is the healthiest in the world. 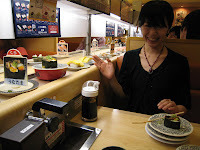 I`ve tried them all and love them all...except natto sushi, made of fermented soya beans, which has a very strong taste. 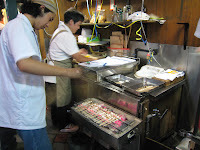 Japanese noodles are called udon (thick noodles) and soba (thin noodles). 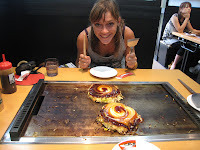 Takoyaki, a popular Japanese dumpling made of octopus, tempura scraps (tenkasu), pickled ginger, konnyaku, and green onion, topped with okonomiyaki sauce, green laver (aonori), mayonnaise, and katsuobushi (fish shavings), originating from Osaka. 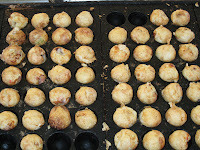 Dango, a dumpling made from rice flour (mochiko), served with a red bean paste (anko). 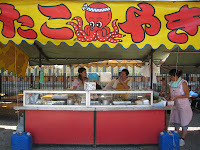 Oishi !!! 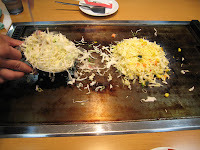 Okonomiyaki: grilled on a hot pan, it is a savory pancake made from flour. You can add vegetables, meat, seafood or noodles... 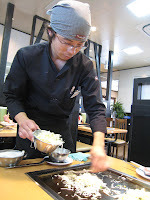 It is then topped with katsuobushi, mayonnaise and bean sauce.